What's better than ripping along inches above the ground, tearing through gates at high speed? Doing the same thing in HD. Whether you race or not, if you're one of the early adopters of the Connex ProSight HD-Vision system then you aren't afraid of trying something new. This certainly qualifies. 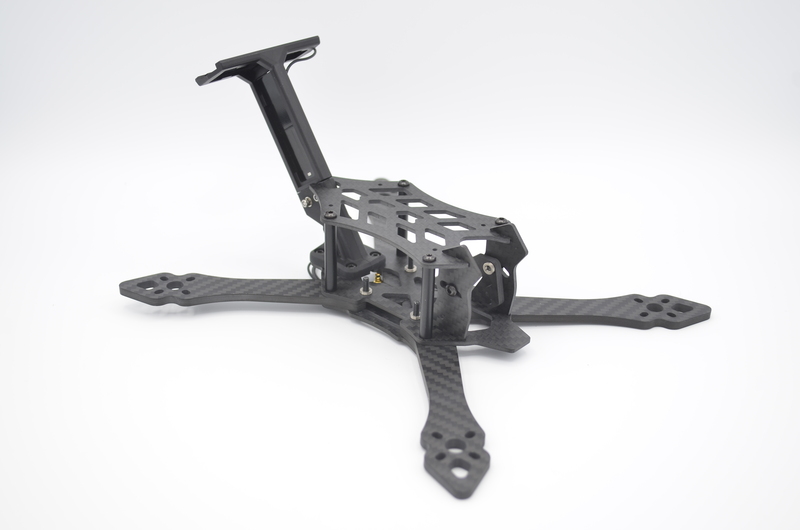 Coming from our good friend over at Space Cowboy Drone Design, the SCX HD is ready to take to the skies. Forget needing to strap a recording camera on this baby, she's got it where it counts. The SCX-HD is another official Space Cowboys modification built off of the classic SCX formula. Why change what works great, eh? Actually, many small changes have been made by Space Cowboys. While the model looks very similar to the SCX 200, it's actually slightly stretched instead of pure X and the design is very clever as we have come to expect from Patrick of Space Cowboys. For those looking to mount their ESC's on the bottom of the arms, the motor wire protectors haven't gone anywhere. These will once again provide the peace of mind to know that you won't lose an ESC to a prop strike. Lastly, and most importantly, the frame provides an innovative yet guarded method to mount your video transmitter and antenna. Oh and by the way, it still looks shreakin' good. If you're looking for the low-profile HD antenna mount shown in the images of the built quad, you can find the STL (for printing) free of charge at Thingiverse. If you'd love to skate beneath gates with one of those sleek adapters but are unable to print one for yourself, you can find them at Brain3D.